I totally agree with you!!!!!! A balding guy with a withered out tail, or a Kentucky waterfall - no. Just, no. You may find him attractive with the ponytail, but I don't. Sorry, ponytails just don't do it for me and I can't think of one male (celeb or non-celeb) that I think looks hot or better with one. LOL I'm a straight guy with VERY short hair. Bet it's much shorter then your SO's "love locks". It depends who it is. If you can pull it off and not come across as "girly"...it's cool. Just like Antonio I posted earlier......all three are dark/dark/dark. Redheads and blondes look like crap IMO. Here's another that don't look bad. Yeah, hack that weed off man. Ponytails seem to be out of fashion for women, but men who wear them...I think environmental scientist or something, for some reason, although some bikie types like it for some reason. I wonder why that is? I knew a guy who was a chemist who wore a ponytail. He was probably in his mid to late 30s. Personally, I usually like ponytails on men. Something about it just makes me think of former hippies/peaceful people. I always liked Kyle Petty's (Nascar driver) ponytail. But then, Kyle is kind of a gentle spirit and he reminds me of my brother who died, who was also a gentle spirit. 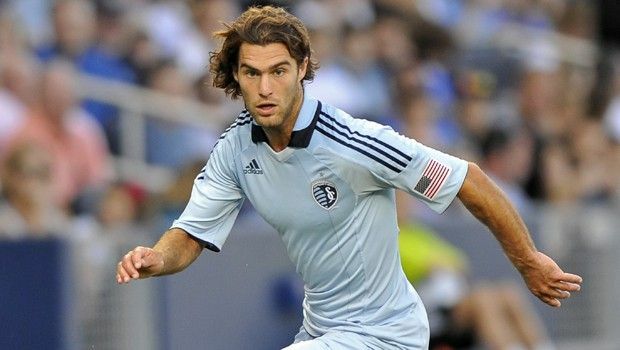 And Graham Zusi isn't bad without a ponytail, either!